Ball Transfers are used when products need to be manually rotated or correctly positioned, such as a work station or other operation that requires quick, easy handling of the product. Ball Transfer Conveyors are also used when two or more conveyor lines converge and packages must be transferred from one line to another. Ball Transfer Conveyors are extremely useful where the orientation of packages must be manually transferred. The directional features of ball units provide economical solutions to even the most difficult applications. It is important that the items conveyed on ball transfers have a smooth, firm bottom surface. 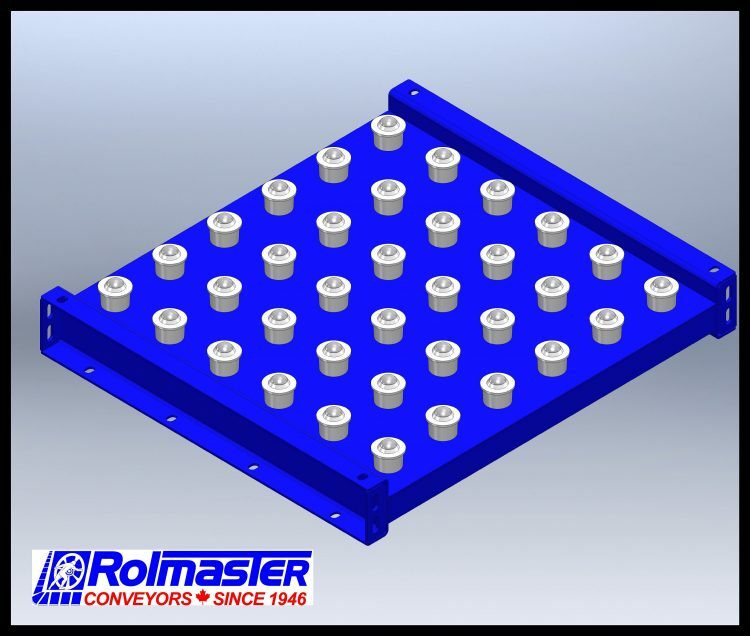 Ball Transfer Conveyors can be designed to meet your products specifications. Ball Transfer: 1″ dia. zinc plated ball transfer with 1/4-20 UNC stud mount. Below lists “standard” Ball Transfer Frame Style Conveyors in which we manufacture and sell with highly competitive pricing and lead times. 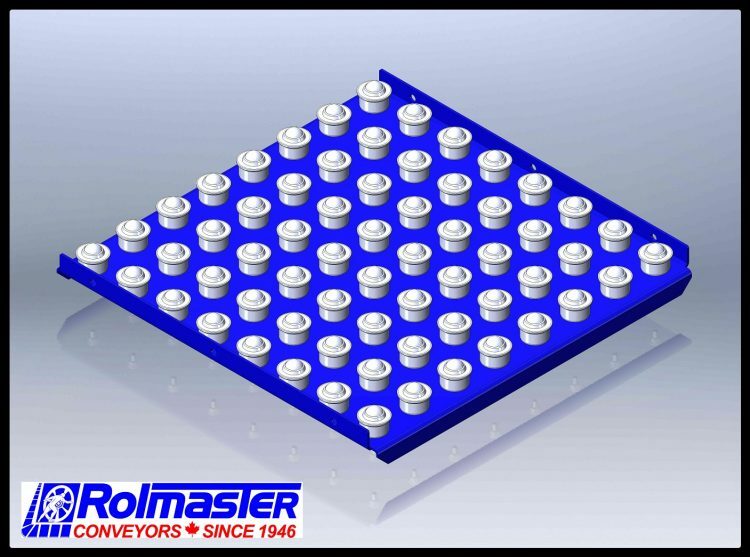 We also provide Ball Transfer Inserts for existing conveyors and Pan Style units. 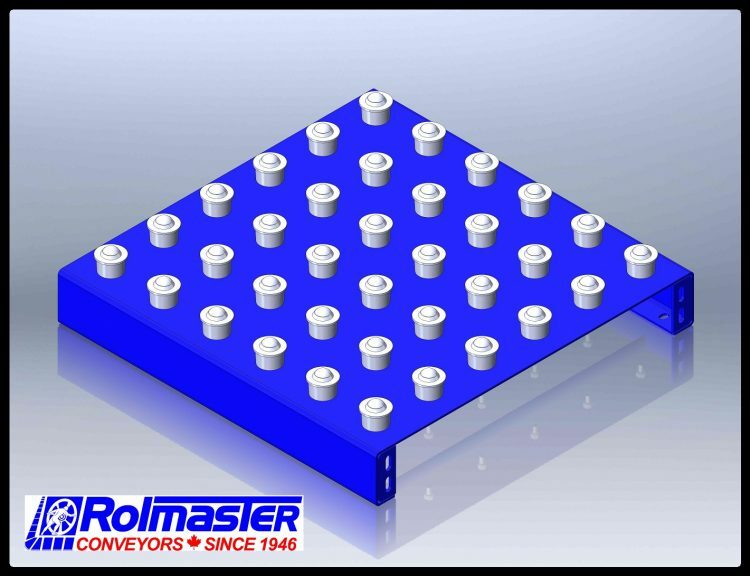 Rolmaster can accommodate most custom “non-standard” Ball Transfer Conveyor requests. 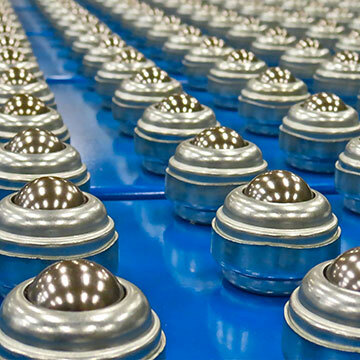 Ball Transfers are used when products need to be manually rotated or pushed off in multiple directions such as a work station or when two or more conveyor lines converge and packages must be transferred from one line to another. The drop-in style can be mounted in existing gravity roller conveyor frames.